Tactical Fire Sword And Nylon Sheath Set - 27 In. | BUDK.com - Knives & Swords At The Lowest Prices! 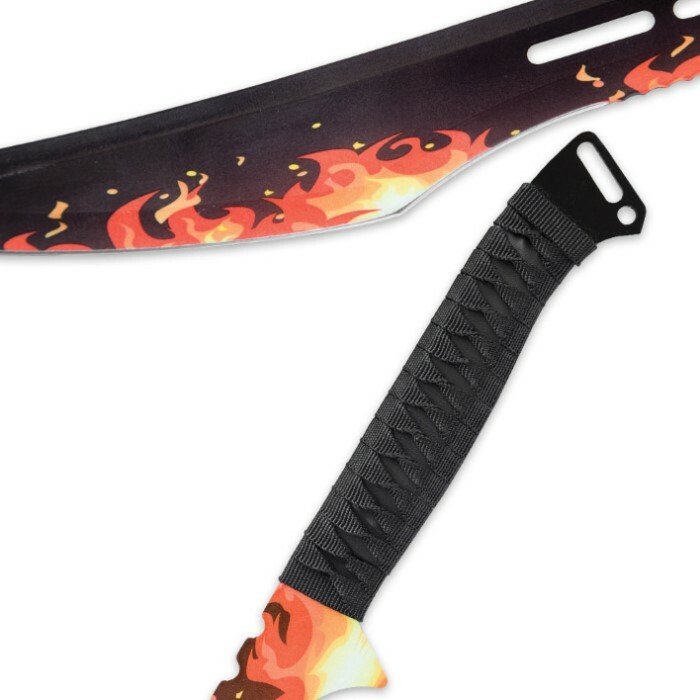 The Tactical Fire Sword is a striking piece to add to your fantasy collection! The sword features a 19 1/2” full-tang stainless steel blade with a coated fire design emblazoned on it. It has a traditional cord-wrapped handle. A sturdy nylon sheath is included to house the magnificent sword. It is 27” in overall length and comes in a choice of red or black accents.